Saw this on fb early today and I just wanted to share the love. 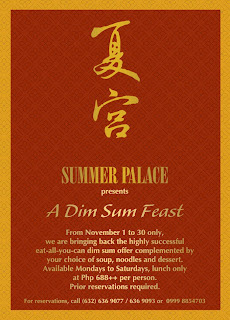 Had a nice dimsum lunch at the Summer Palace last September, see blog post here. and we really enjoyed our meal. And now it's back and for the whole month of November, too. Wow! "We are bringing it back! 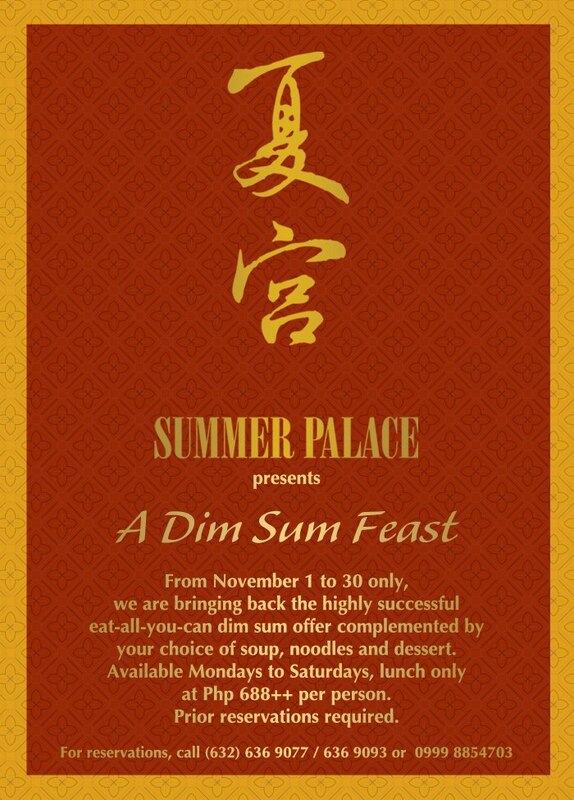 Savor a scrumptious dim sum buffet paired with soup, noodles and dessert prepared by Summer Palace's new Chinese Chef Christopher Chai. Usually served fried or steamed, these bite-sized pockets of seafood, meat and vegetables are well enjoyed with a warm cup of tea."